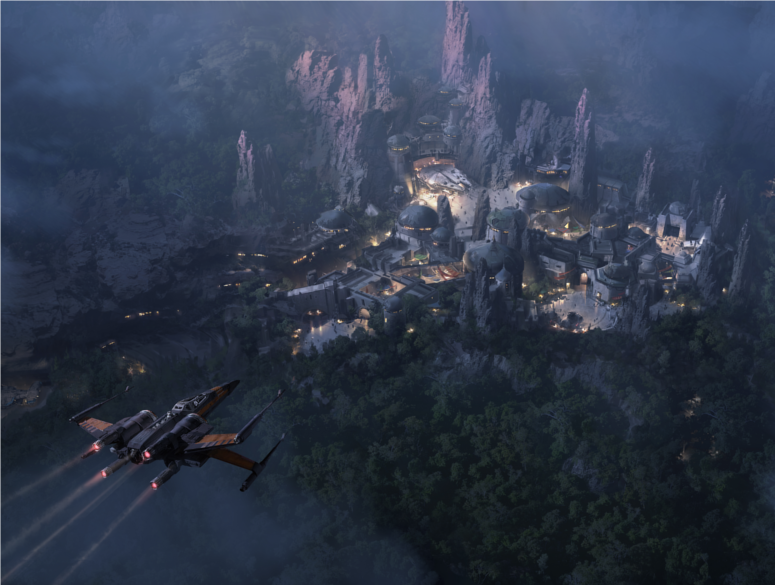 During D23’s Destination D: Amazing Adventures on Nov. 19, Walt Disney Parks and Resorts Chairman Bob Chapek unveiled a stunning new image that shows just how incredible the Star Wars-themed land at Disney’s Hollywood Studios will look once the sun goes down. This new image reveals a closer look at what Guests will discover in this all new 14-acre land, which will include a signature attraction that will allow Guests to take the controls of the Millennium Falcon. In addition to an update on Star Wars-themed lands, Bob also shared that Lucasfilm and Walt Disney Imagineering are currently in production to add an exciting new mission to Star Tours - The Adventures Continue based on elements from Star Wars Episode 8. This exciting work, to bring the stories from a galaxy far, far way to life, is currently underway at Disney's Hollywood Studios.